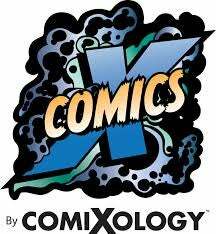 For anyone that is interested, Comixology is giving away free comics all day long. These giveaways include the first six issues of Locke & Key. This is a perfect opportunity for readers who haven't started this series yet. But be warned, you will most likely not be able to stop after six issues! The site will be rolling out new codes all weekend and they can be found here. You might want to hurry though; the codes that were given out yesterday (including Locke & Key) expire Saturday at 11:59 EST.